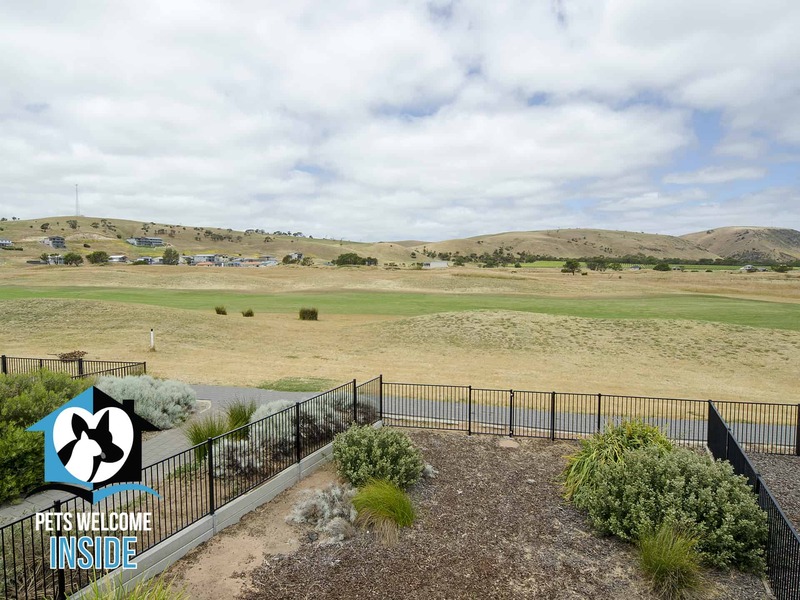 Contemporary Golf Course Frontage 3BR. 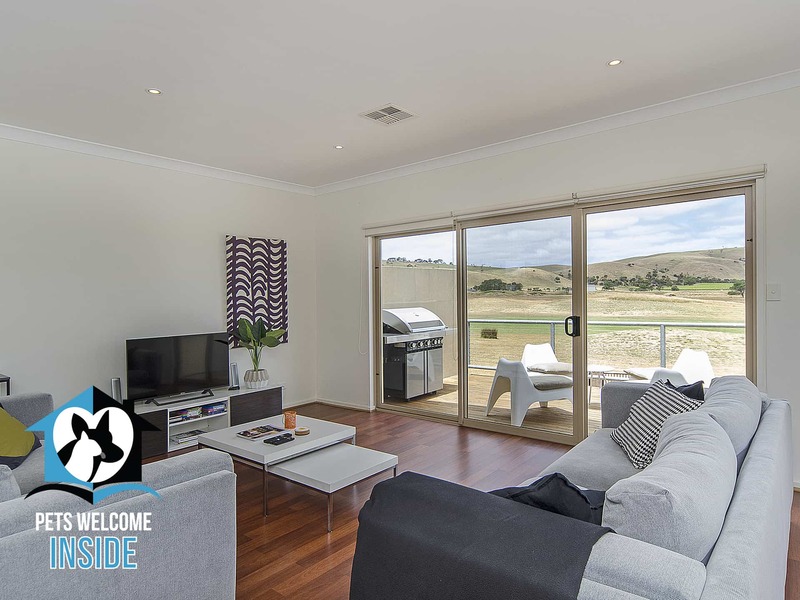 This contemporary 3 bedroom home in Normanville has spectacular views of Links Lady Bay Golf Course, Lady Bay Vineyard and surrounding hills. 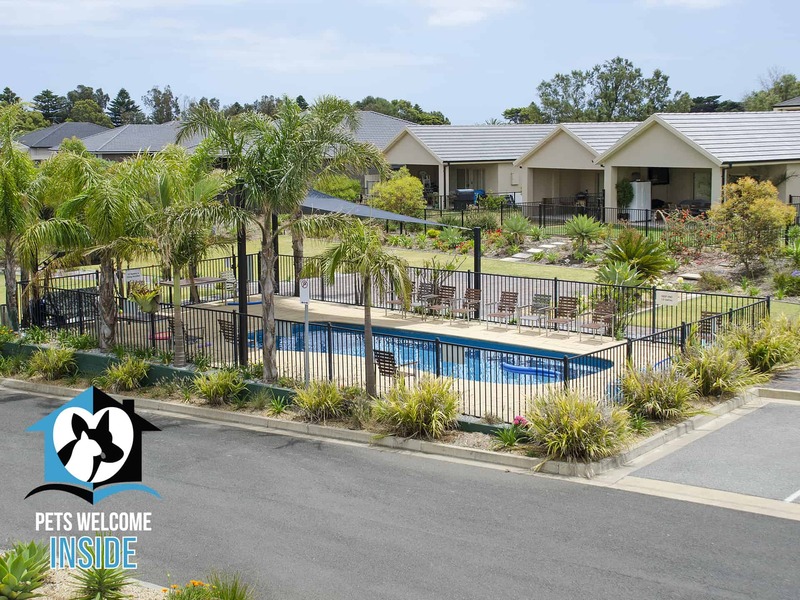 It is newly renovated and now ready for family and friends to enjoy! 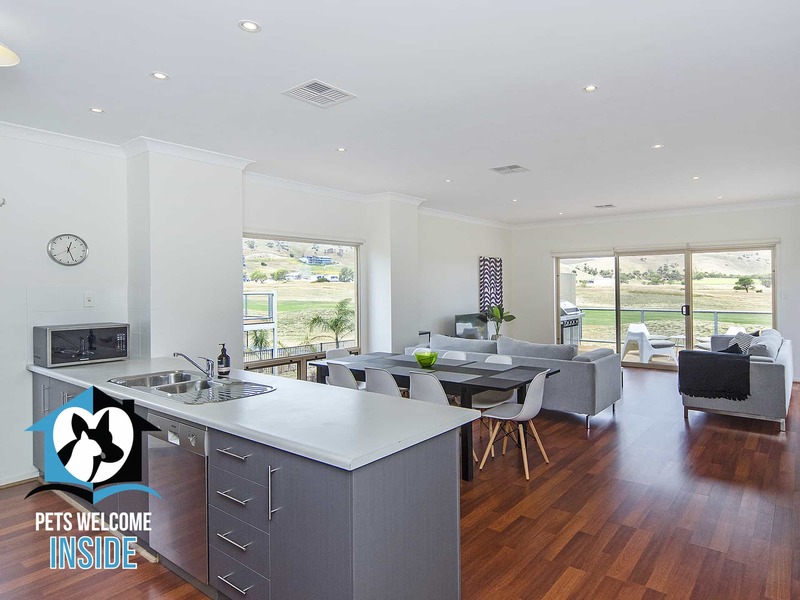 The property has a light and spacious open plan kitchen, dining and living area with sliding doors that open onto the elevated deck with180 degree views. Kangaroos are frequently seen from the deck. 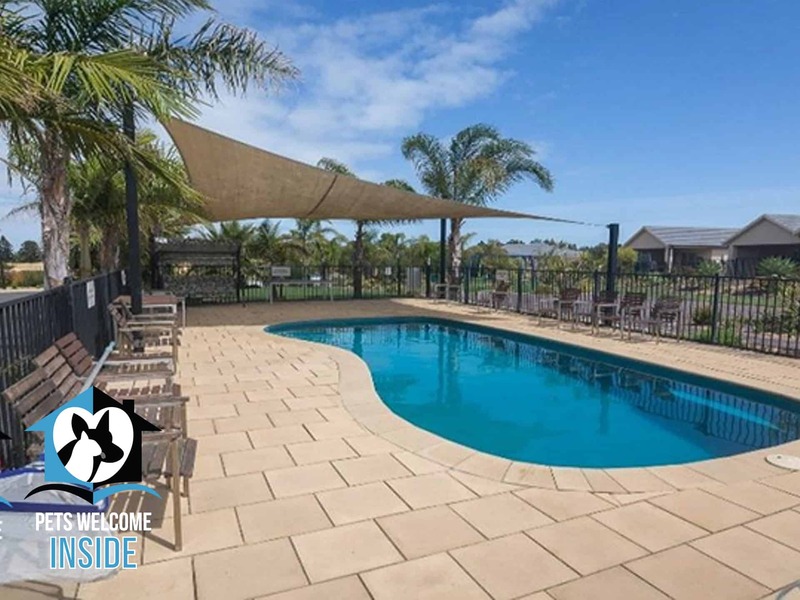 Don’t forget your bathers, as there is a heated (September to May) in ground pool too. 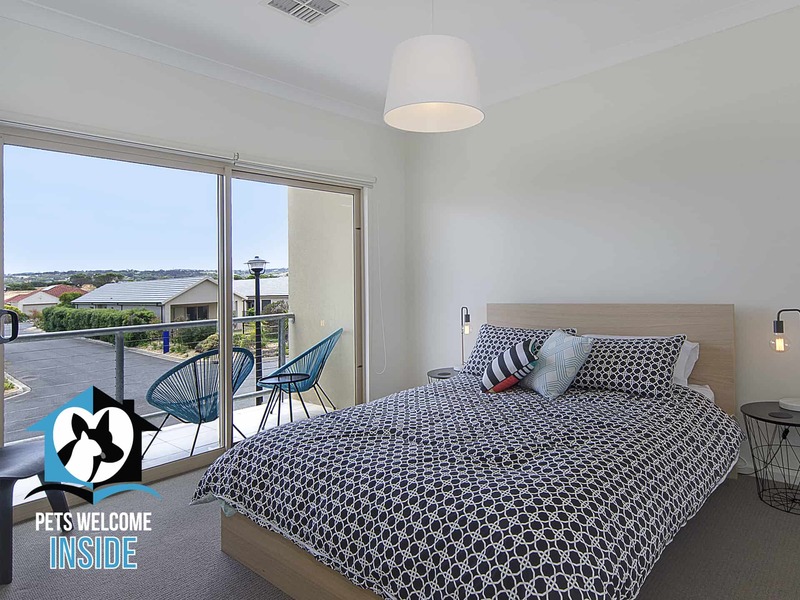 The property has just been refurnished and has a stylish contemporary casual vibe. 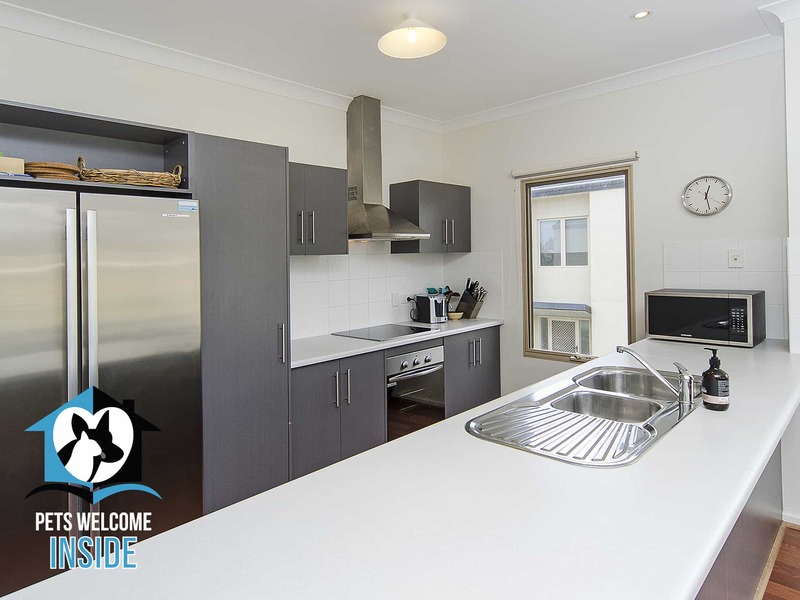 The gourmet kitchen includes a Lavazza Amoda Mio pod coffee machine, Miele stove top, a microwave and dishwasher. 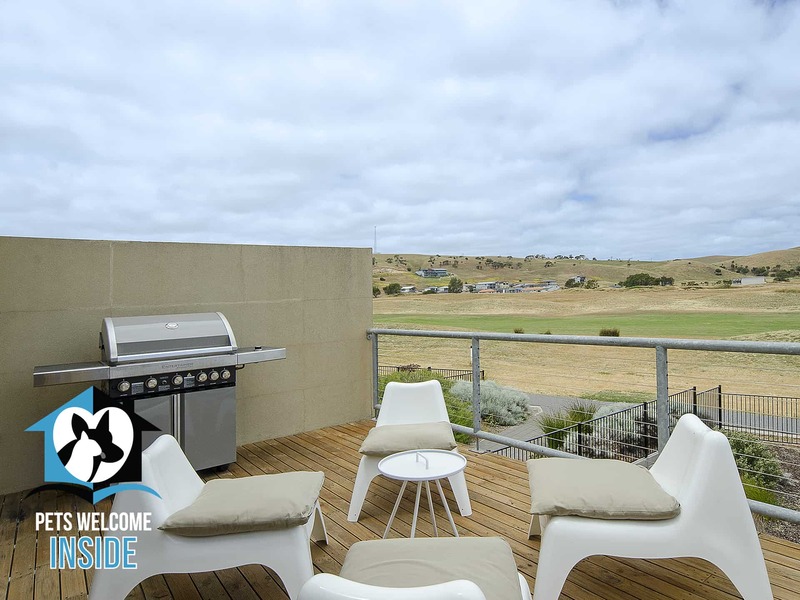 On the deck there is a large BBQ for casual evening meals.There is a new high definition smart TV, blue ray/DVD/CD player for your entertainment needs. There is also a selection of books and games for your to enjoy. 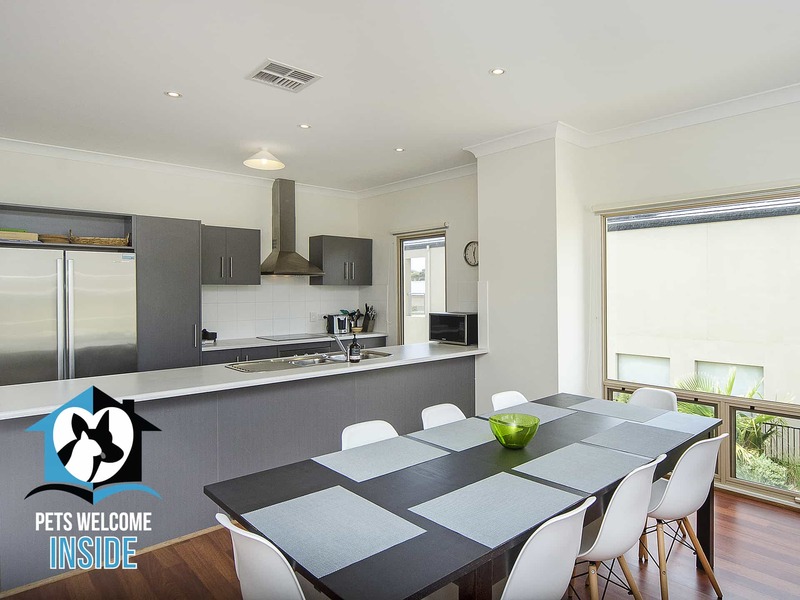 The house has ducted reverse cycle air conditioning to keep you comfortable year round. 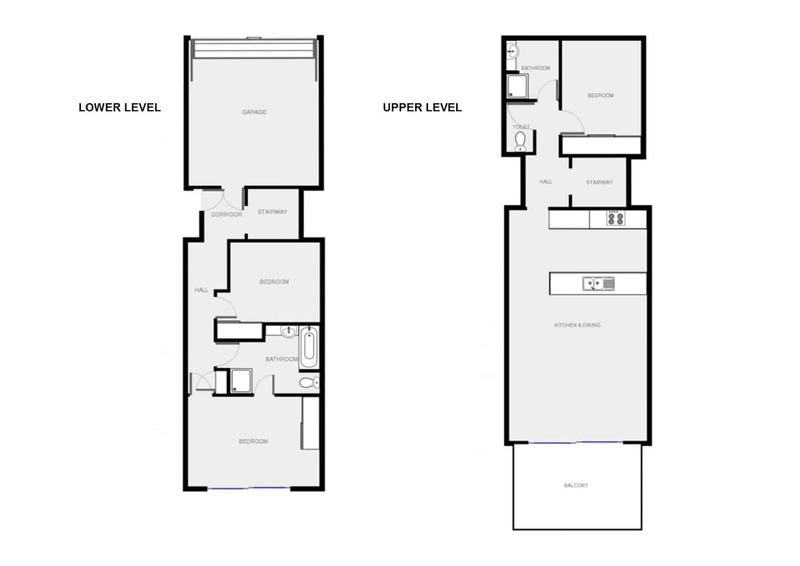 There are two modern bathrooms, one on each level of the house. 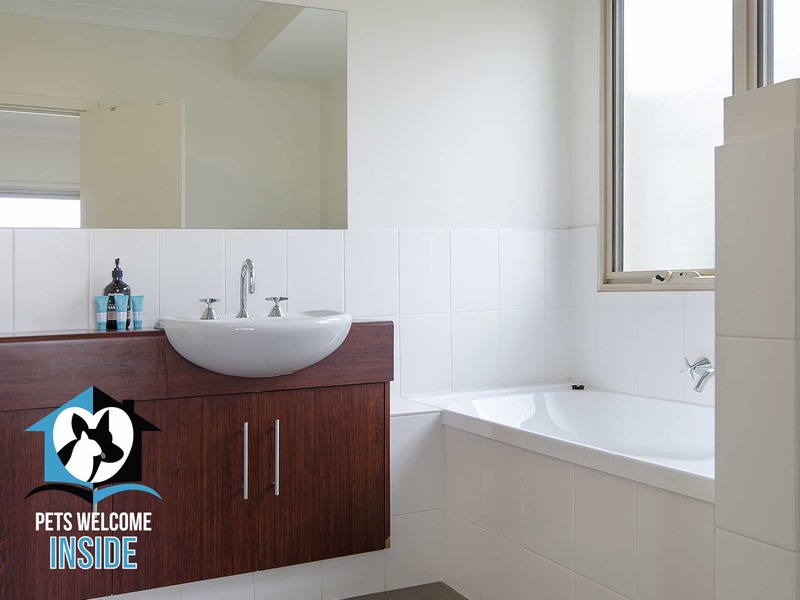 The lower level bathroom has a bath.A hair dryer, washing machine, iron and ironing board are also available for guests to use. 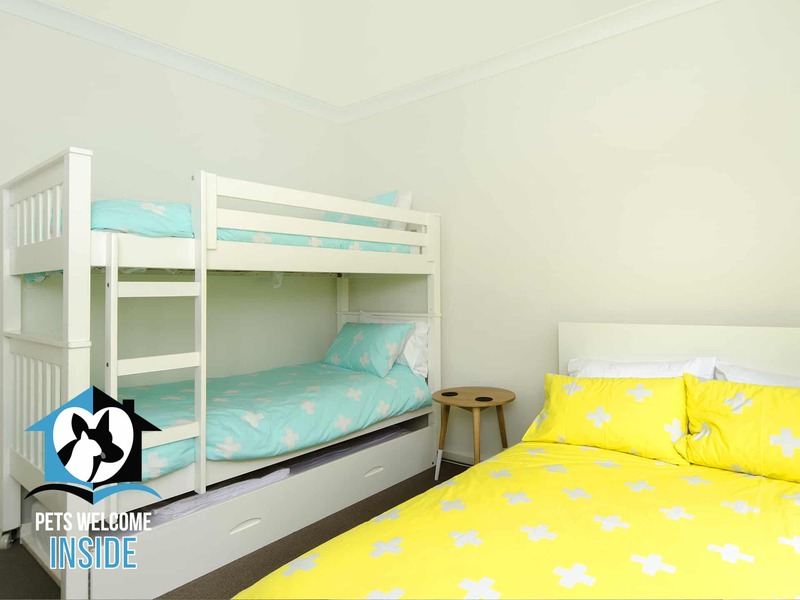 The property sleeps a maximum of 8 adults (the top bunk bed is not suitable for an adult). Linen is provided (BYO towels). 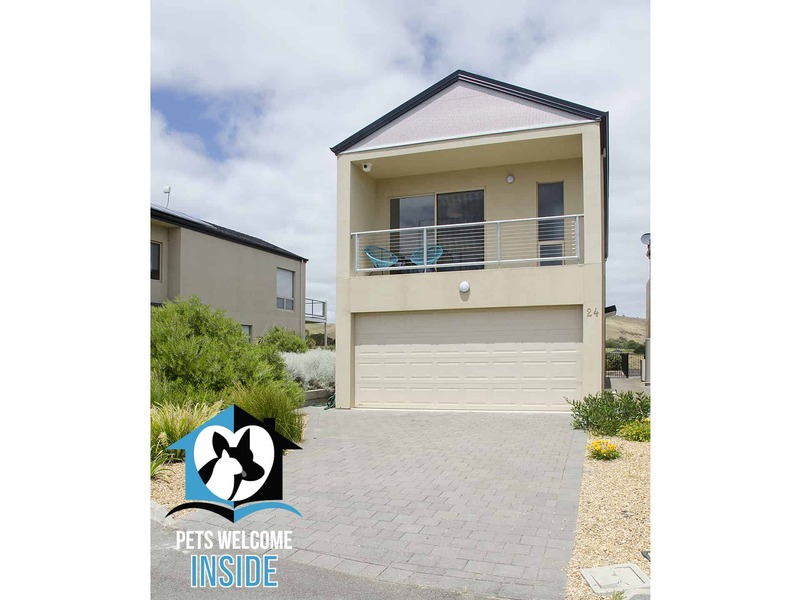 Your pets are very welcome to enjoy this wonderful holiday house with you. 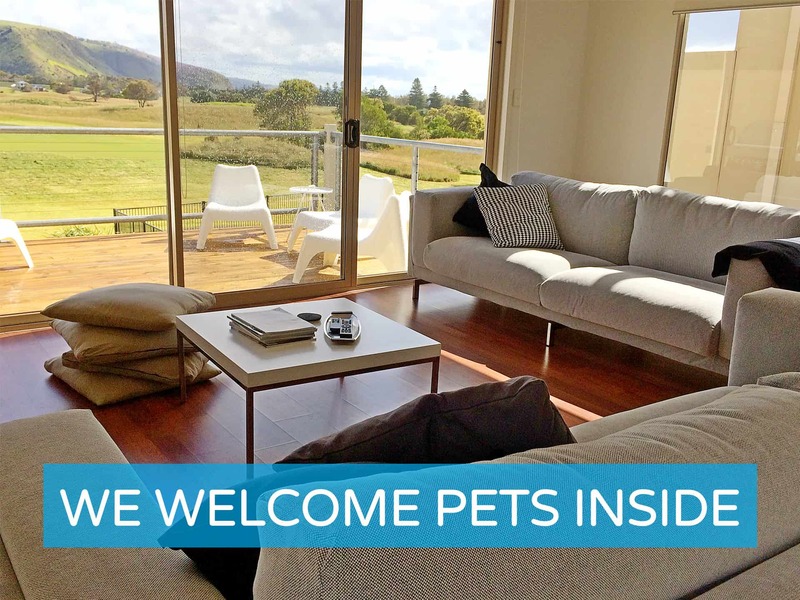 And of course, like every PetLet property, your dogs and cats are welcome inside (maximum of 2 pets allowed). 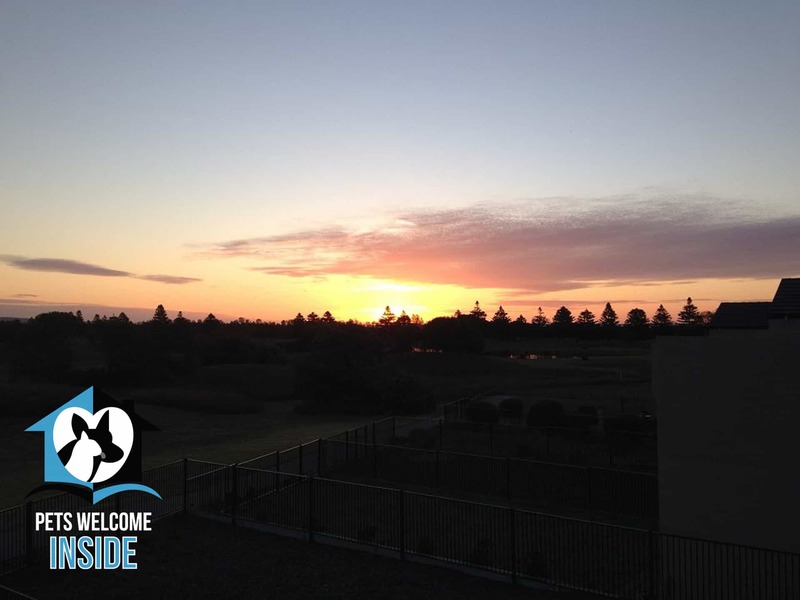 There is a Stratco pool fencing around the backyard (1.2m high) to keep your fur kids safe. 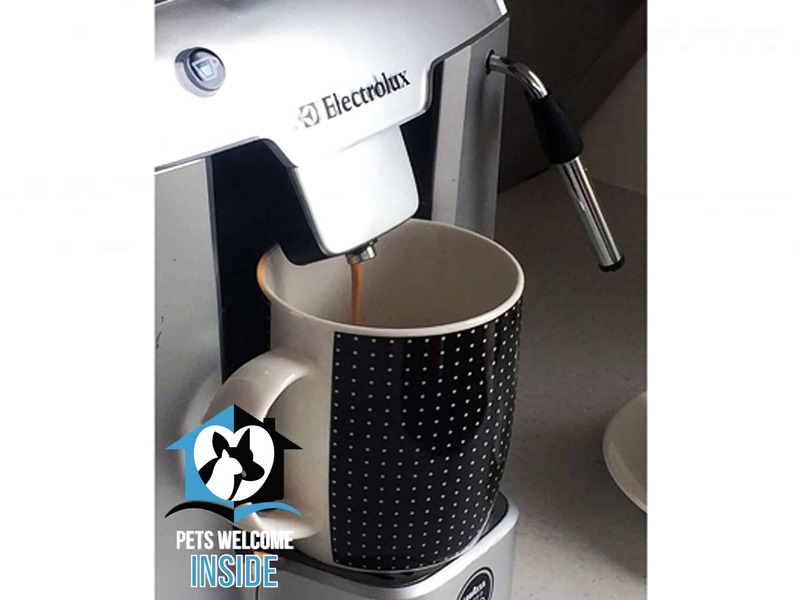 Please note that at this stage very small dogs could go through between the bars until modifications are made. 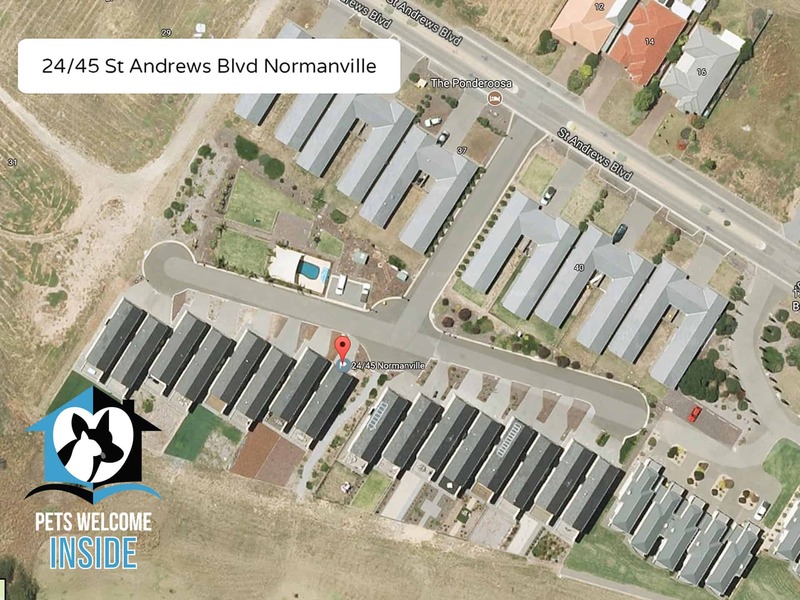 There are many amenities nearby. 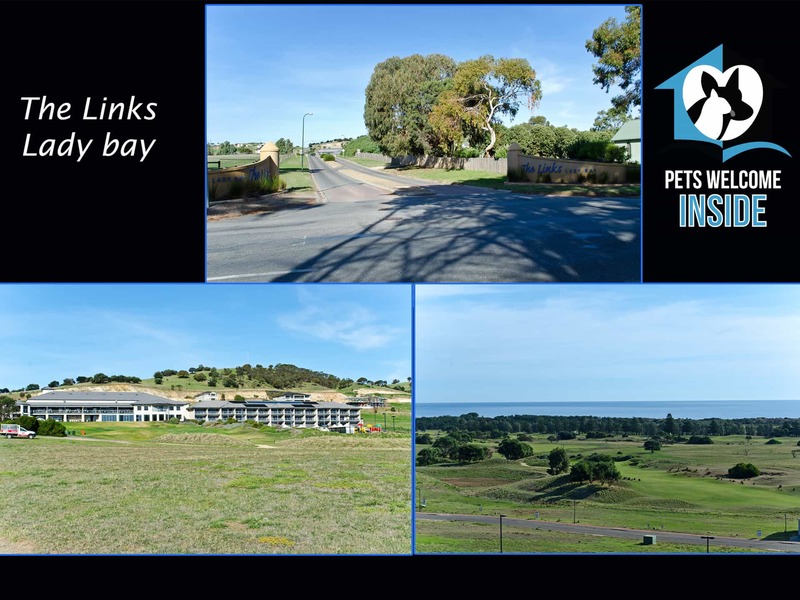 The property is a short walk to the Links Lady Bay Peninsula Bar and Restaurant where you can take in the stunning sea views from the balcony and enjoy a meal. 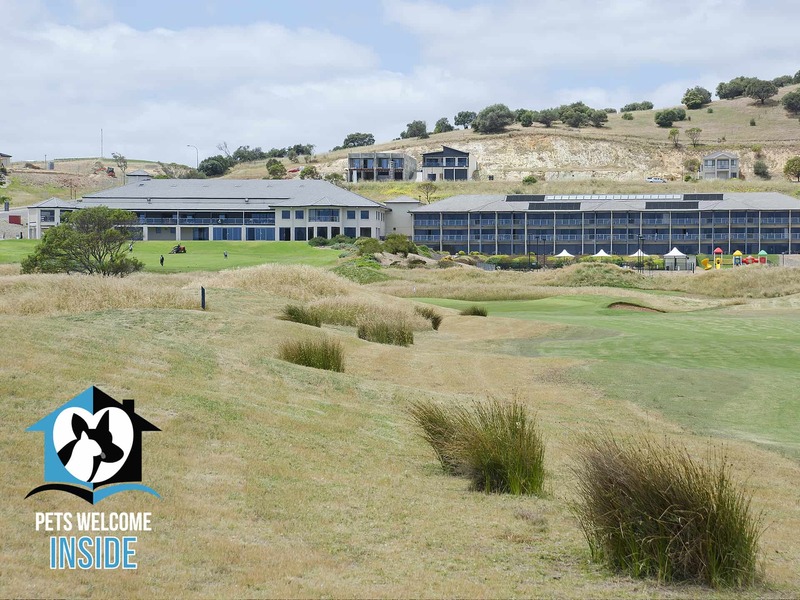 Downstairs is the Pro shop where you can book to play a round of golf. If tennis is more your style the tennis courts at the resort can be hired at $10 per hour. The gym is also open to the public for $10 per session. 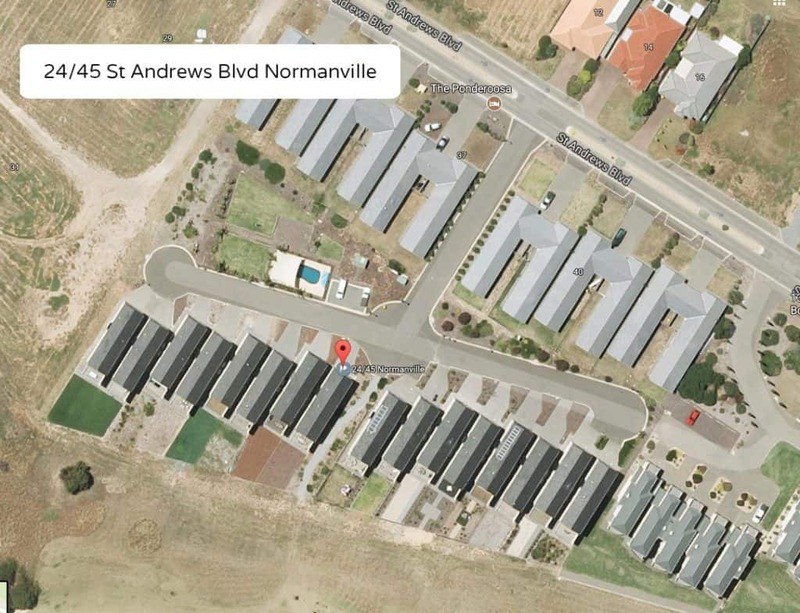 Normanville has a number of restaurants, cafés and shops as well as a long sandy beach perfect for relaxed walks and swimming, as well as a short jetty where you can try your luck catching a fish. 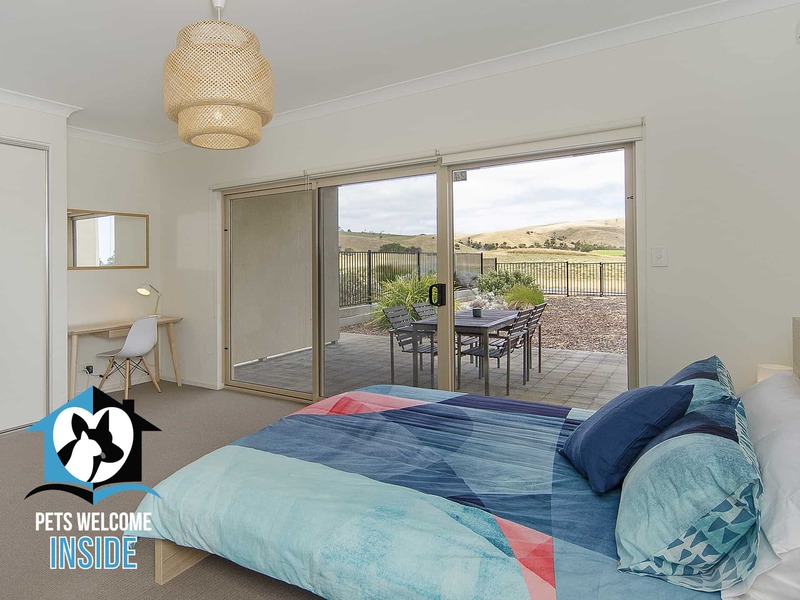 This property is located on the Fleurieu Peninsula, in close proximity to the McLaren Vale wine region and is a convenient launch pad for access to Kangaroo Island.